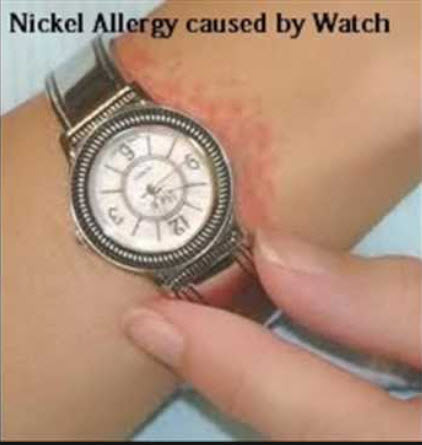 Nickel allergy occurs when a person has an adverse reaction to a food or object containing nickel. Rashes often occur on the earlobes or wrists, because many earrings and watches contain nickel. The reaction may occur immediately after contact, or it may develop only after repeated exposure. But nickel can be found in many everyday items, such as coins, zippers, cellphones and eyeglass frames. Several medications can help to treat a rash that results from an allergic reaction. These medicines control inflammation and reduce the body’s histamine response.